The best-selling author of the No. 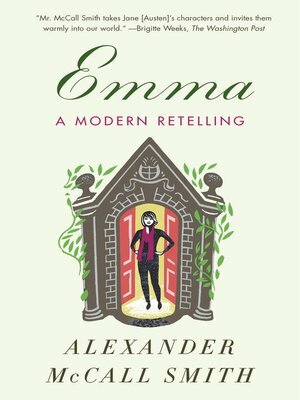 1 Ladies' Detective Agency series deftly escorts Jane Austen's beloved, meddlesome heroine into the twenty-first century in this delightfully inventive retelling. The summer after university, Emma Woodhouse returns home to the village of Highbury to prepare for the launch of her interior design business. As she cultivates grand plans for the future, she re-enters the household of her hypochondriac father, who has been living alone on a steady diet of vegetables and vitamin supplements. Soon Emma befriends Harriet Smith, the naïve but charming young teacher's assistant at an English-language school run by the hippie-ish Mrs. Goddard. Harriet is Emma's inspiration to do the two things she does best: offer guidance to those less wise in the ways of the world and put her matchmaking skills to good use.